English Heritage has decided to register the Wars of the Roses battlefield at Edgcote which is threatened by the proposed HS2 train line. The site had been considered for registration in 1993 but was rejected because of a lack of information about its location. Following new detailed research, in 2010 the Battlefields Trust applied to have the site reconsidered. 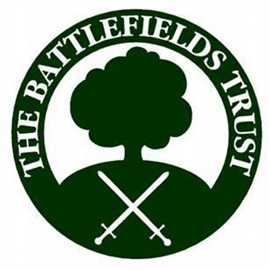 Frank Baldwin Chairman of the Trust said: "following the Battlefield Trust's success earlier this year in getting the Civil War battlefields at Lostwithiel registered, we are delighted that English Heritage has also decided to recognise Edgcote in the same way. The Trust's application was made because of the threat posed to the battlefield from HS2 and we hope now that its importance will be properly considered in any planning decisions". Registration of battlefields does not mean they have statutory protection, but does require that their status is considered in the planning process. The government's National Planning Policy Framework says that development of historic battlefields should be 'wholly exceptional'. Simon Marsh, Battlefields Trust Research Co-ordinator, added "the planned rail line clips the north-east corner of the newly registered battlefield area and, if a decision is taken that HS2 should still be built, it will be vital that every effort is made to recover any surviving archaeology which could tell us more about the battle". The battle at Edgcote in 1469 marked the final break between King Edward IV and his mentor, the earl of Warwick, following Edward's marriage to Elizabeth Woodville, the White Queen of BBC drama fame. Warwick's men defeated those loyal to the King, but his victory was short-lived and further fighting in 1471 eventually saw Warwick killed at Barnet and Edward secure his throne. The loss of large numbers of Welsh nobility fighting for Edward meant that when Henry Tudor arrived in Wales in 1485, Yorkist support there was much diminished. This allowed Tudor to gather troops in Wales before advancing to defeat Richard III at Bosworth.